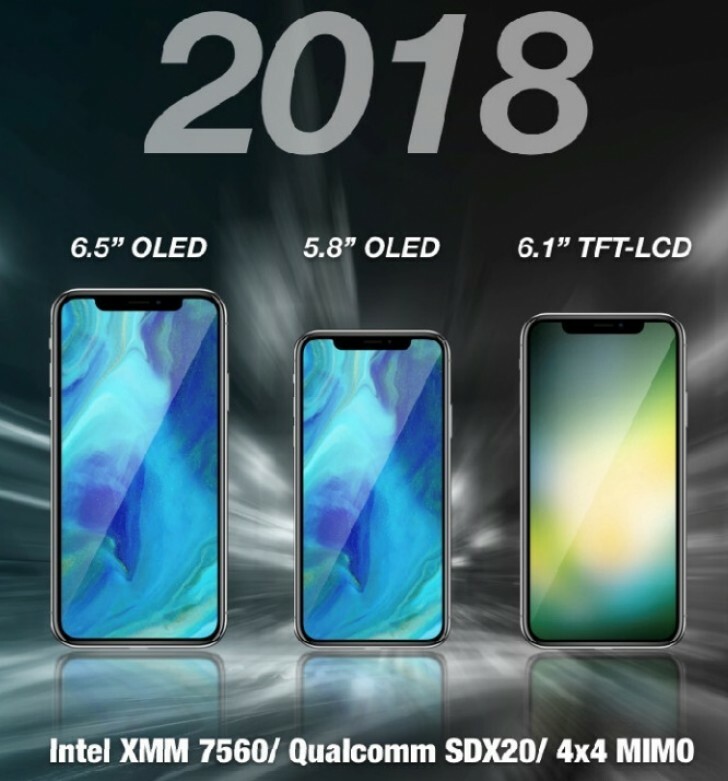 Earlier this month w KGI said that Apple is preparing three phones for 2018, two of them with an OLED screen. Latest information from KGI analyst Ming-Chi Kuo is that at least one of the phones might have an X20 modem by Qualcomm, despite the mountain of lawsuits between the two companies. In the latest note to investors, Kuo predicts Intel will provide 70-80% of the modems, the rest of the production going to Qualcomm. The baseband chips will offer better LTE transmission speed due to the 4x4 MIMO antenna design support. 2018 iPhones are also expected to have DSDS (dual-SIM dual standby) and dual LTE connections. These are features seen in dual-SIM smartphones, so we might see the first iPhone with a dual-SIM card slot. We might also see a single SIM slot with the other card being eSIM.